A family portrait at Elm Bank In Wellesley MA in front of the mansion. 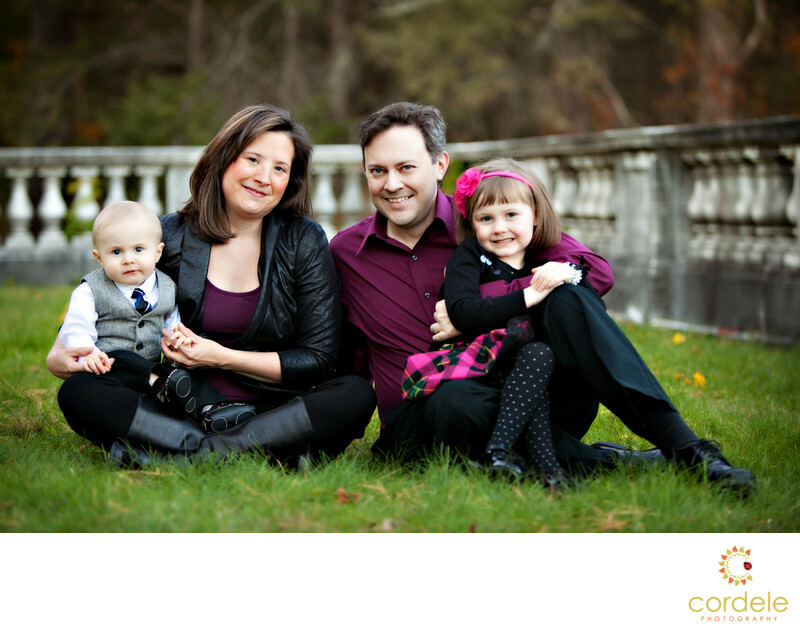 The outfits this family wore for their photoshoot really helped bring the colors out. When sitting on the grass in front of the railing the pinks and blacks stand out on the green grass. The little girls headband draws attention to hear and adds desperation between her and her dad.